YouTube TV is a unique, low-cost internet TV streaming service offered by Google. Although this increasingly-popular option works on a large number of devices, there are some limitations you may need to be aware of. If you’re considering starting up a YouTube TV subscription, here’s your complete list of YouTube TV’s supported devices. What Devices Work with YouTube TV? Can I Use YouTube TV on Other Devices? You may struggle to use YouTube TV on devices not listed on its device support page. This is especially true for Amazon Fire TV devices, as Google does not support any Amazon Fire products. However, you may be able to still use YouTube TV on Amazon Fire TV or Fire TV Stick by running it through the Silk browser as a workaround. There is no guarantee that that option will work, however, so we recommend using one of the YouTube TV recommended devices instead for best results. YouTube TV offers 60+ channels for just $40 per month, making it one of the cheapest options on the market with a fairly large number of channels on offer. However, its biggest draw may be its features. 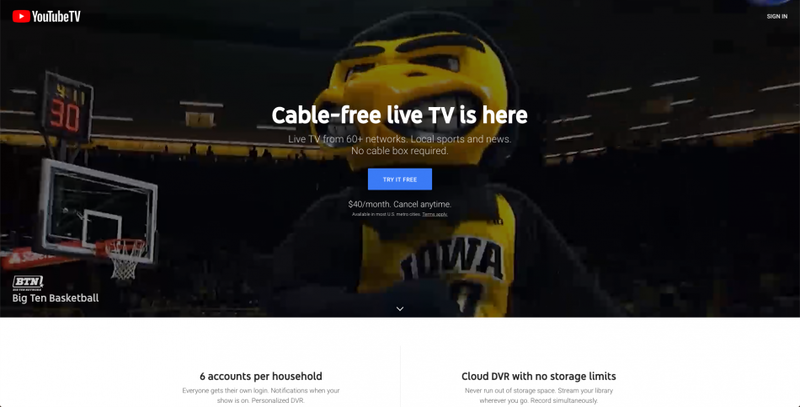 You’ll get 3 simultaneous streams per account, so you can watch YouTube TV on up to three devices at a time, as well as 9-month cloud DVR and 6 individual user profiles. YouTube TV offers a 7-day free trial.